It seems that we've suddenly woken up and found ourselves in the middle of spring, fresh and alive with colour - most noticeably, green! It therefore seems appropriate that emeralds are this month's official birthstone, traditionally symbolising rebirth and, of course, love. 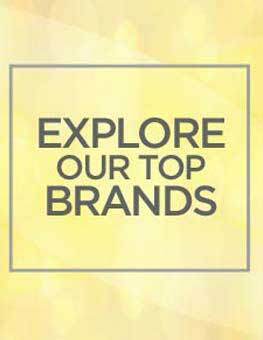 For centuries, they've been a popular choice amongst the elite and everyday alike. Cleopatra wore emerald jewellery to showcase her power and superiority whilst ruling Ancient Egypt. Elizabeth Taylor used emeralds to showcase her glamour and sophistication whilst ruling Old Hollywood. And we can't forget poor Dorothy, who walked for ages to get to a city built out of them. In the spirit of the emerald, we've compiled some suggestions for that illustrious birthday gift. Whether you're shopping for a special someone, or dropping a few subtle hints for yourself, here's how you can pay homage to the May birthstone with a green watch. 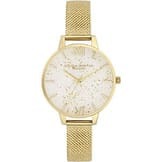 If you're searching for a gift for someone who likes the luxury look, these watches incorporate classy design with a hint of emerald extravagance. 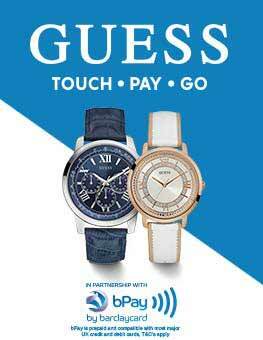 The Seksy ladies' watch balances lavishness and subtlety, with a silver, metal bracelet, shaped with intricate, rounded detail. The green face has a marble-like finish to add to the extravagance, and the delicate silver hands enhance the elegant design, making it the perfect gift for any May queen! 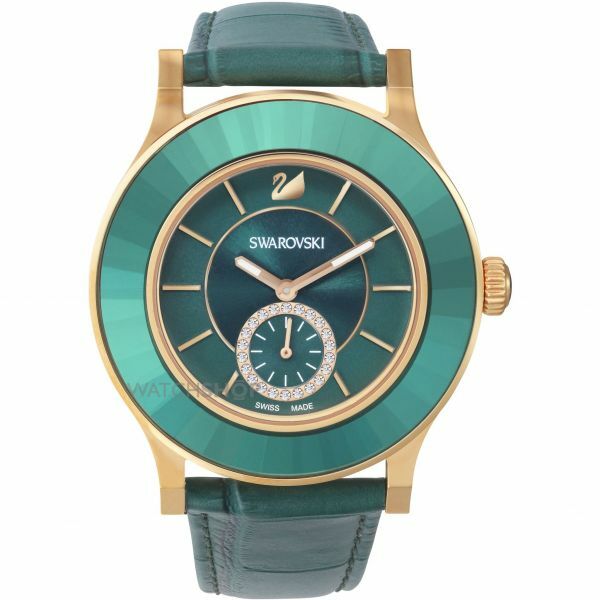 Made by the experts of refined, luxury jewellery, the Swarovski Ladies' Octea Classica Watch artfully contrasts different shades of green against simple gold, creating a truly glamorous design. 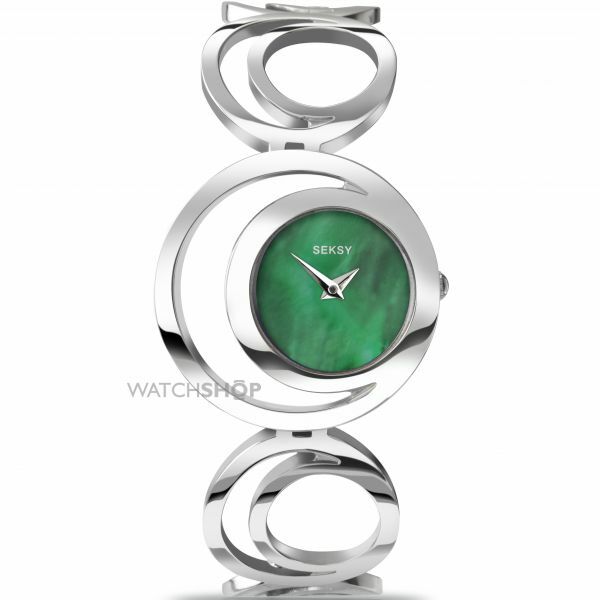 With bold lines and a hint of sparkle, it epitomises all things classy: the sort of green watch that we think Liz Taylor might even bat her eyelashes at. 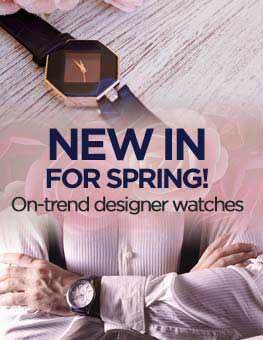 A green watch is a great option if you're looking indulge a certain gentleman in a birthstone-coloured gift. 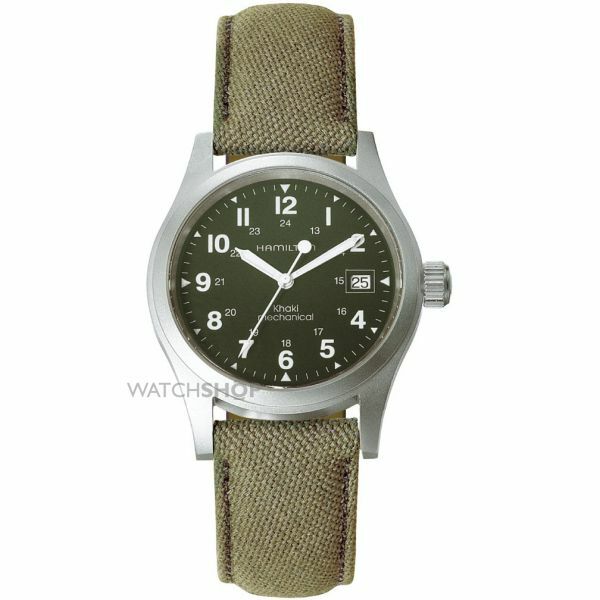 For a traditional guy who likes the understated look, the Hamilton Men's Khaki Officer Mechanical Watch meets all those functional needs with a cool sense of style. The dark green face and fabric strap are versatile in both colour and texture, while the stainless steel adds to the smart, polished design, making it an option for both smart and casual attire. 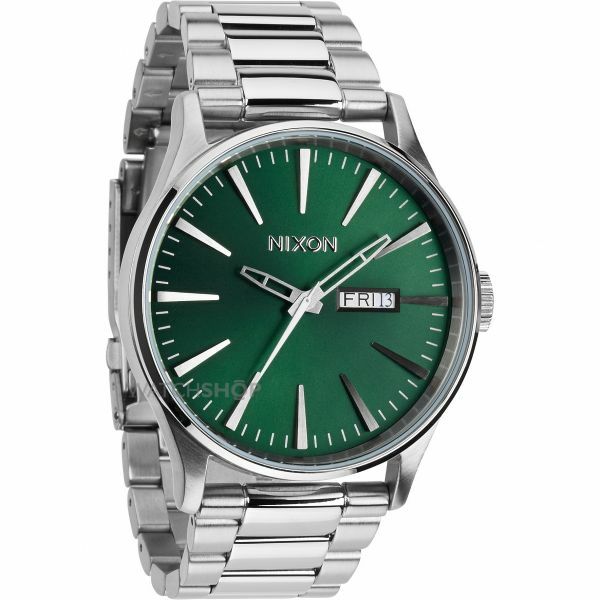 The Nixon Men's Sentry SS Watch incorporates a bold dash of colour with a classic design to create a striking balance. The bright silver contrasts against the green, and the sharp, clean lines across the face add to the luxury look. It's got just the right amount of originality to make it a unique gift that will still blend easily into a smart wardrobe. 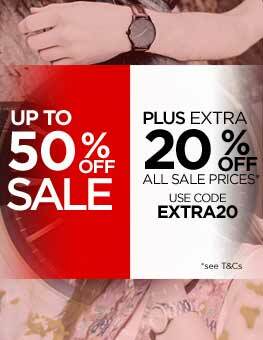 If you're shopping for someone who can't resist the old-fashioned charm of a black and white film, consider throwing a hint of green into the mix with a vintage style watch. 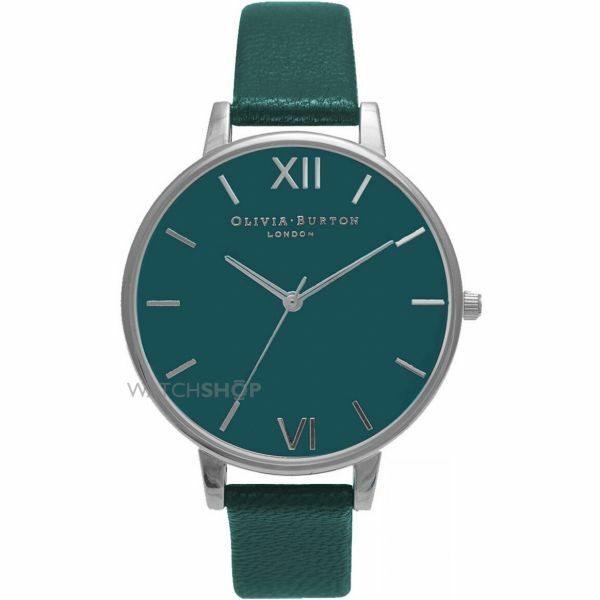 The matte, emerald shade and clever balance of shape make this Olivia Burton Ladies' Big Dial Watch an irresistible option for anyone who is partial to traditional principles of design. Due to its simple, silver lines, the large face has a delicate quality that is contrasted beautifully against the slim strap. 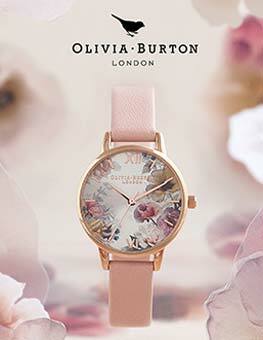 Subtle colouring and elegant details make this a vintage winner that will add a touch of class to any look. 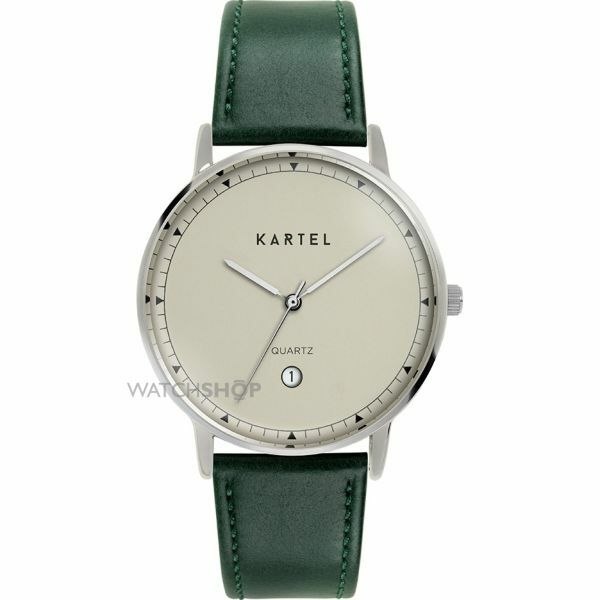 The minimalist face and rounded shape give the Kartel Unisex Haig Watch an interesting mix of contemporary and traditional style, adding up to an overall vintage sense of sophistication. The art-deco writing on the face stands out against the off-white shade, and the green leather strap ties the look together, providing the perfect blend of classic and modern. For some, emeralds aren't quite enough. 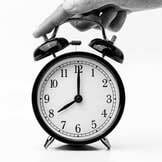 A bright green watch is the perfect alternative for those who like to indulge in something a little different, while still sticking to the spirit of the May birthstone theme. 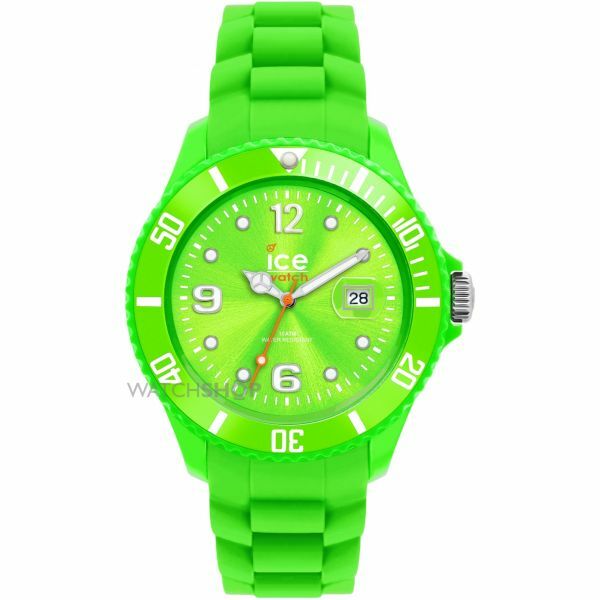 For those who really like to stand out from the crowd, the Ice-Watch Sili model in green is a fun and unique option. Ice's signature, playful design, featured in the vibrant shade, make this a show-stopping watch that will be sure to make any birthday memorable. 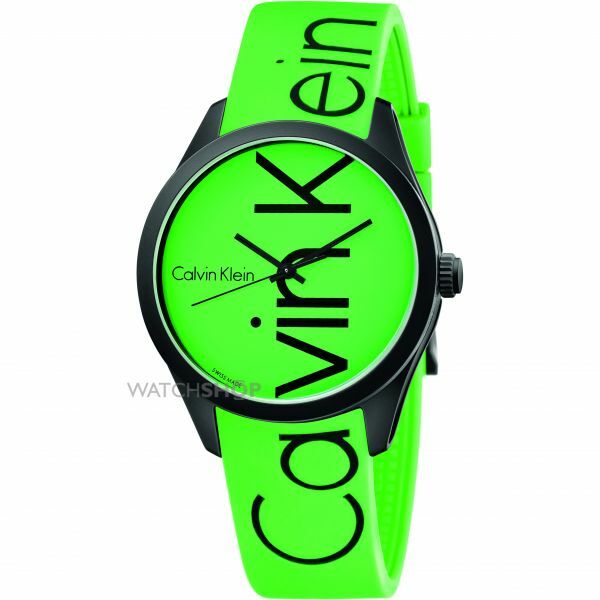 The Calvin Klein Unisex Watch is a truly unique choice, with the electric green colouring and bold lettering writing across the bracelet and the face. The solid black detail contrasted against the bright shade means it's sure to get the trend-setters to do a double-take, and will give anyone a few extra style points. Whether you're searching for the perfect present, or just looking to indulge yourself in some emerald-themed style, a green watch will add a unique twist to your wardrobe. Glam it up or dive into the vibrant trend - it's time to embrace the May birthstone!